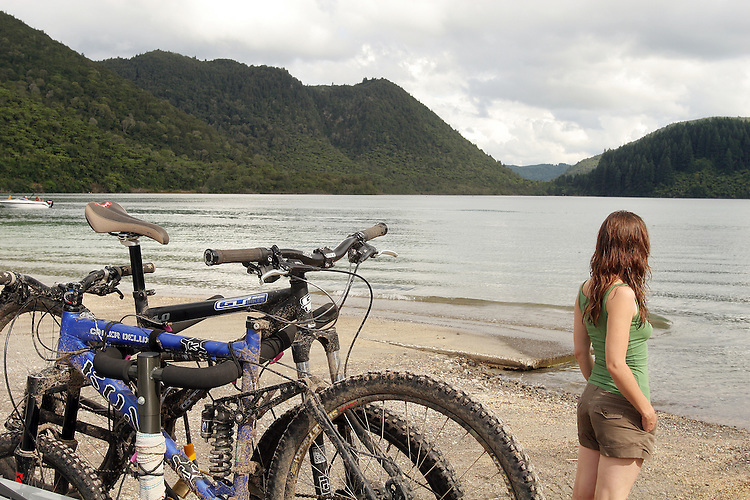 A tempting dip in the cool freshwater Blue Lake near Rotorua is the locals' favourite way to end a day spent riding the Whakarewarewa forest trails (known as the Redwoods) in Rotorua, New Zealand. 26Jan07. Photo James Madelin.